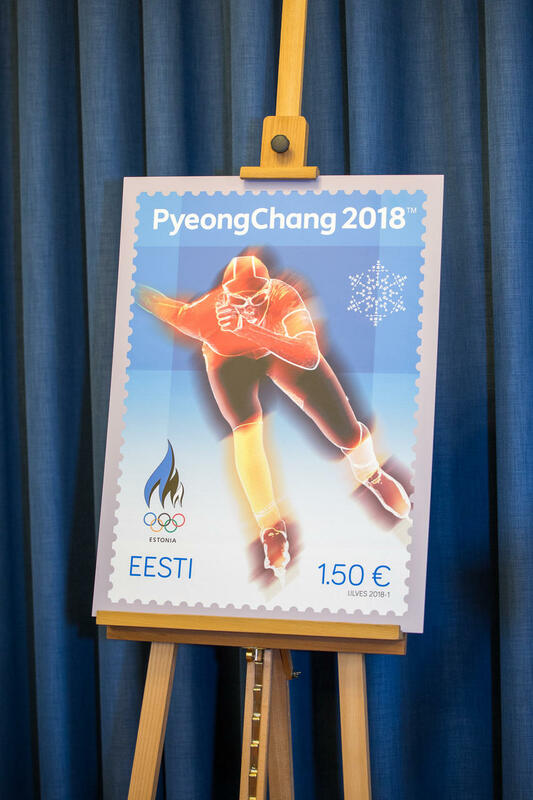 The presentation of the commemorative coin issued by the Bank of Estonia and Omniva’s commemorative postage stamp with the first-day frank and envelope, both dedicated to the Estonian team competing at the PyeongChang Olympic Games, was held today at the Museum of the Bank of Estonia. 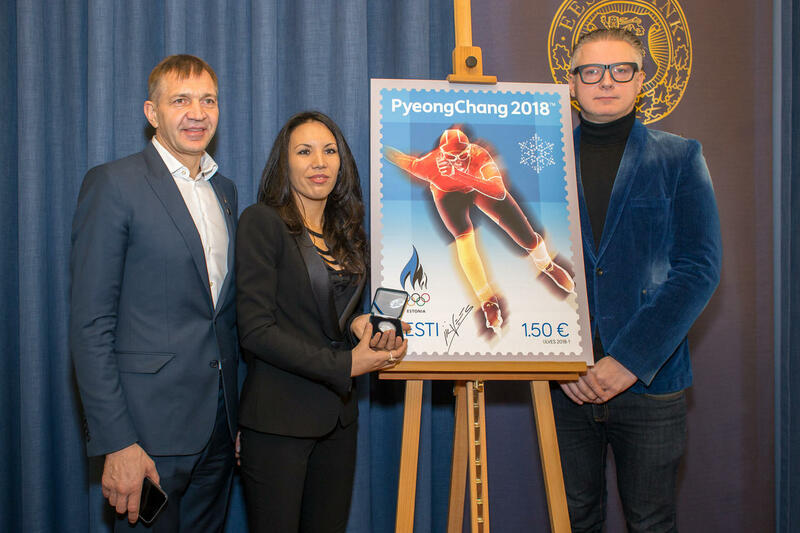 Pictured (from the left): Urmas Sõõrumaa, President of Estonian Olympic Committee; Carmen Testa, the Italian designer who is the author of the commemodative coin, and Indrek Ilves, Estonian designer and author of the stamp. The silver coin of the denomination of 10 euros shows an image of an athlete, which appears to be formed of snow crystals on glass, while the postage stamp and the first-day cover envelope display figures of athletes against a wintery background. 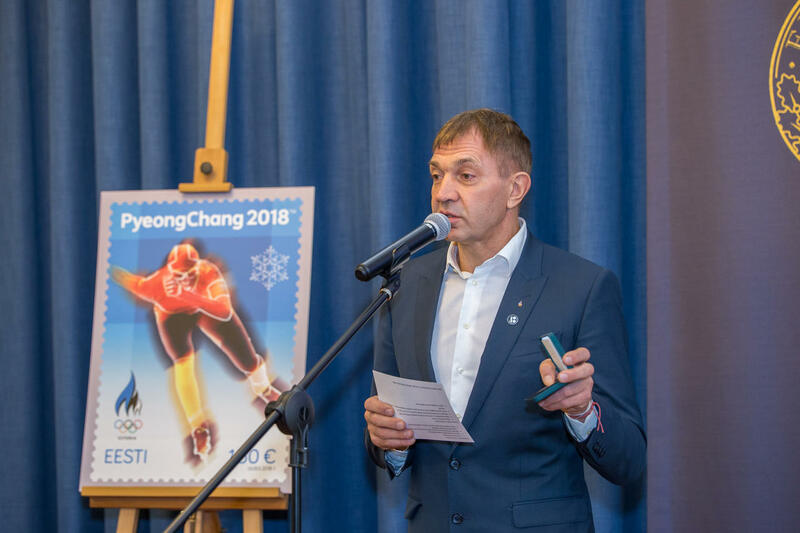 Urmas Sõõrumaa, the president of the Estonian Olympic Committee, thanked the Bank of Estonia and Omniva, which have turned the issuing of commemorative coins and postage stamps as a mark of honour to Estonian Olympic teams into a beautiful and enduring tradition. “This tradition helps us preserve the history of the Olympic movement and Olympic emotion. 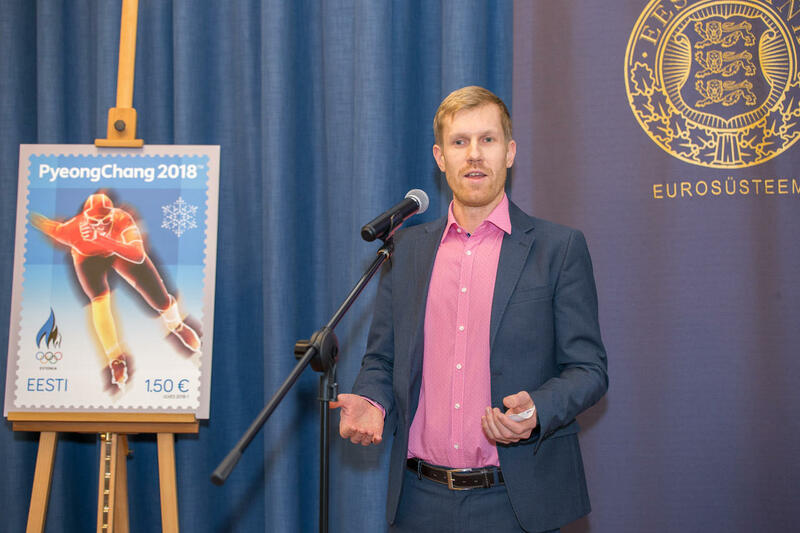 It also highlights the importance of sport and the Olympic games for Estonia: Olympics are much more than merely sports competitions. Sport is not limited to physical effort; it is a celebration of the unity of the body and spirit as well as one of the foundations of culture and society,” Sõõrumaa said. 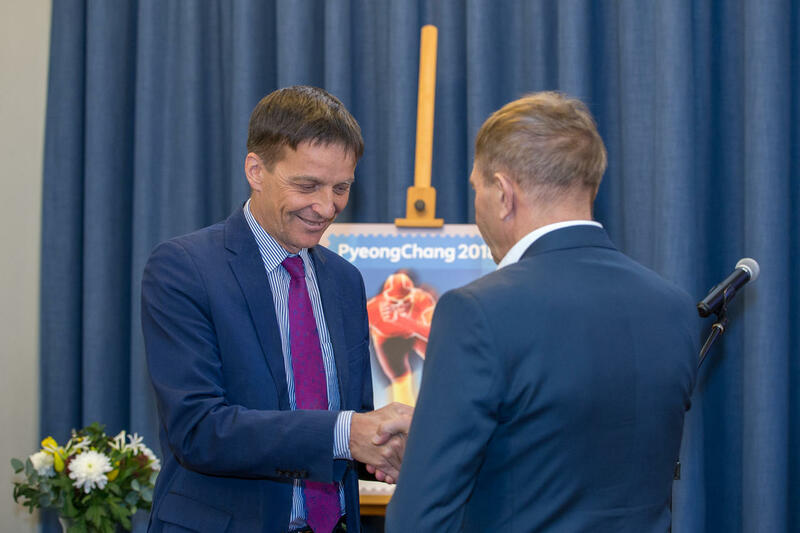 During the presentation of the coin, the president of the Bank of Estonia, Ardo Hansson, said that anyone representing their country at the Olympic Games is a hero. He believes that the commemorative coin is a token of recognition for the work that the athletes, their coaches and supporters have done to go to the Olympics. “This coin has been issued in recognition of sport and all the people who do sport. It can be anyone’s Olympic medal,” Hanson said. 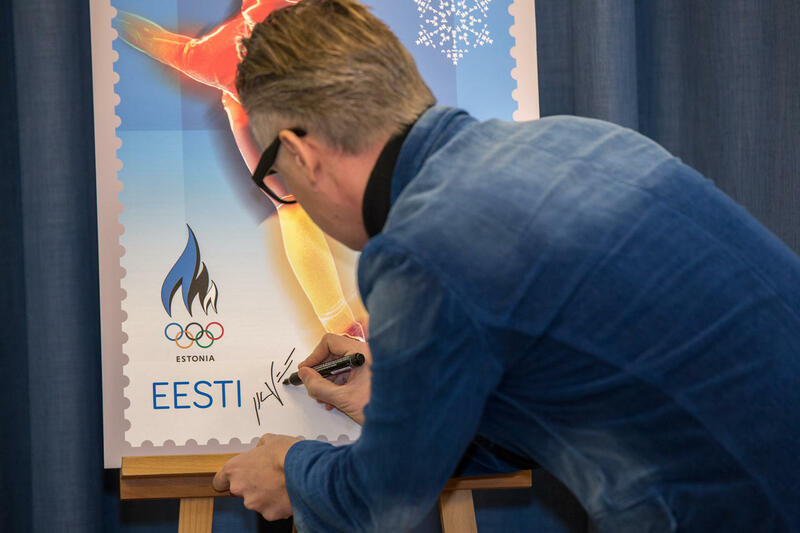 The bank of Estonia has been cooperating with the Estonian Olympic Committee since 1992. 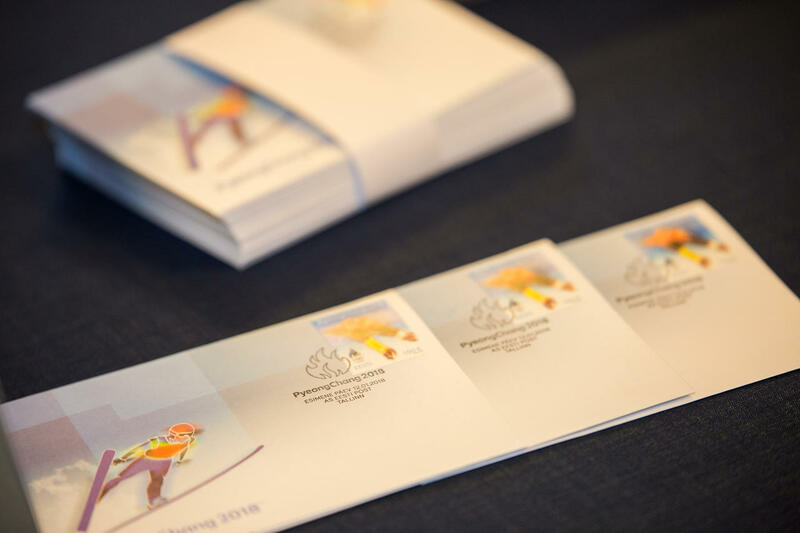 The Winter Olympics coin issued this year is the tenth coin dedicated to Estonian sport. Moreover, since 2004 a commemorative coin has been issued in Estonia in honour of each Olympic Games. 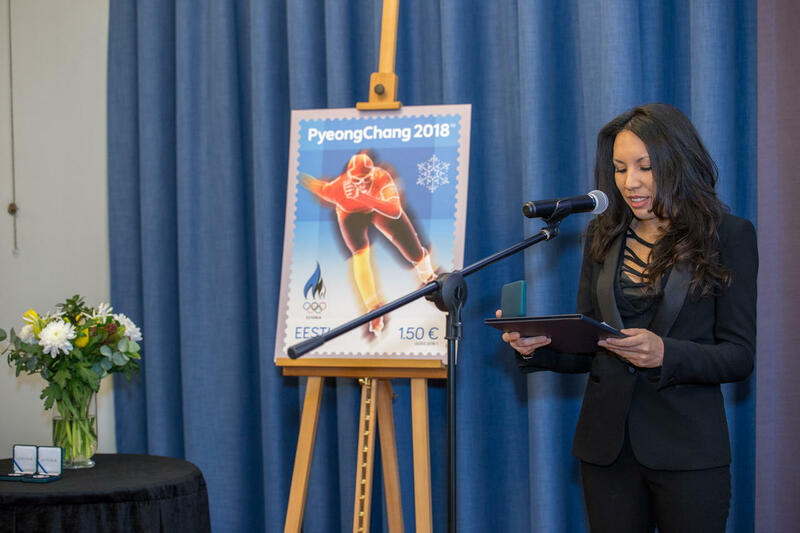 Joona Saluveer, chair of the board at Omniva, said that the tradition of issuing Olympic postage stamps goes back to the 1992 Olympic Games in Barcelona and has been maintained by issuing one or several stamps for each Olympics since. 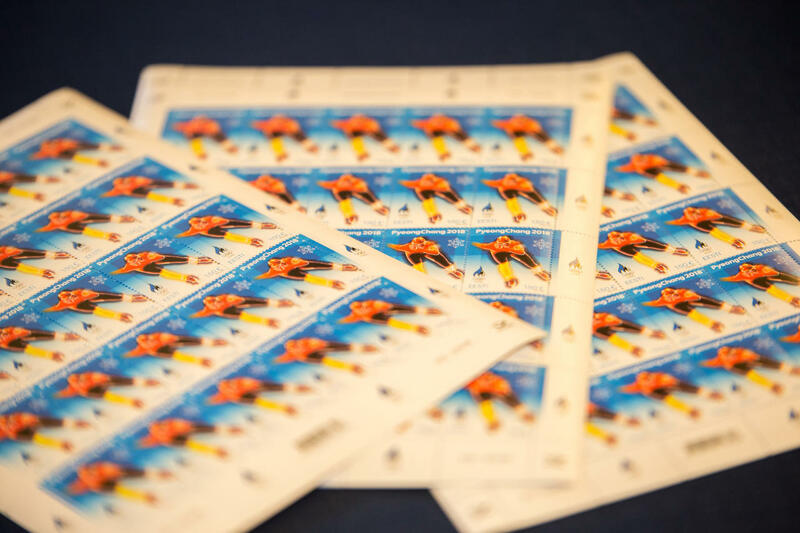 “In total, including the stamp dedicated to the PyeongChang Winter Olympics, we have issued nineteen Olympic postage stamps and six more to commemorate the achievements of our Olympic heroes. I am happy to know that these stamps have contributed to preserving and appreciating these important moments,” Saluveer said. 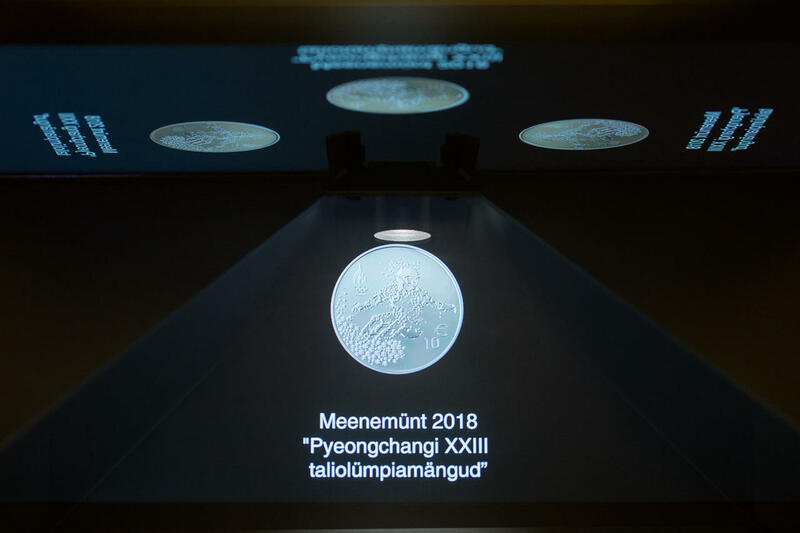 The silver coin of the denomination of 10 euros, issued in honour of the Estonian Olympic team, shows an image of an athlete, which appears to be formed of snow crystals on glass. The reverse shows the denomination of the coin (10 euros) and the euro symbol as well as the logo of the Estonian Olympic Committee. The obverse displays the coat of arms of the Republic of Estonia, the text “Eesti Vabariik” and year 2018. The proof coin is made of 925 sterling silver, weighs 28.28 grams and has a diameter of 38.61 mm. The mintage is 2000 pieces, and the coins were minted by the Lithuanian Mint. The author of the design is Carmen Testa, an Italian designer. The denomination of the coin is 10 euros, and it can be purchased at the price of 40 euros. Olympic commemorative coins have been sold out in Omniva’s e-shop and many post offices but are still available in the shop of the Museum of the Bank of Estonia and, apparently, some post offices. 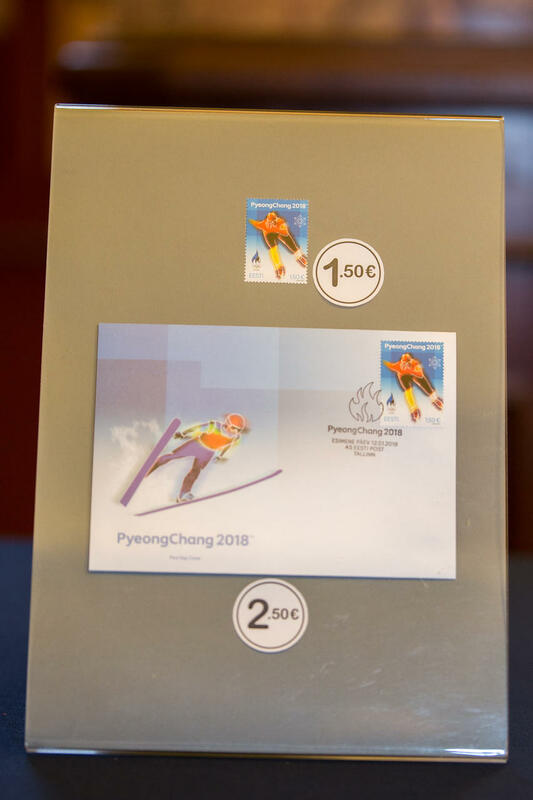 The postage stamp and the first-day cover envelope display figures of athletes against a wintery background: a speed skater on the stamp and a ski jumper on the first-day cover envelope. The denomination of the stamp is 1.50 euro, which is the international standard letter charge. A total of 40,000 stamps have been issued, printed by the Vaba Maa printing house. The first-day cover envelope has been issued with the postage stamp, and the first-day frank is in use. The author of the design of the stamp, first-day cover envelope and frank is artist Indrek Ilves. Photographs of the presentation are available here. Photographer: Jane Faizullin / Eesti Pank. 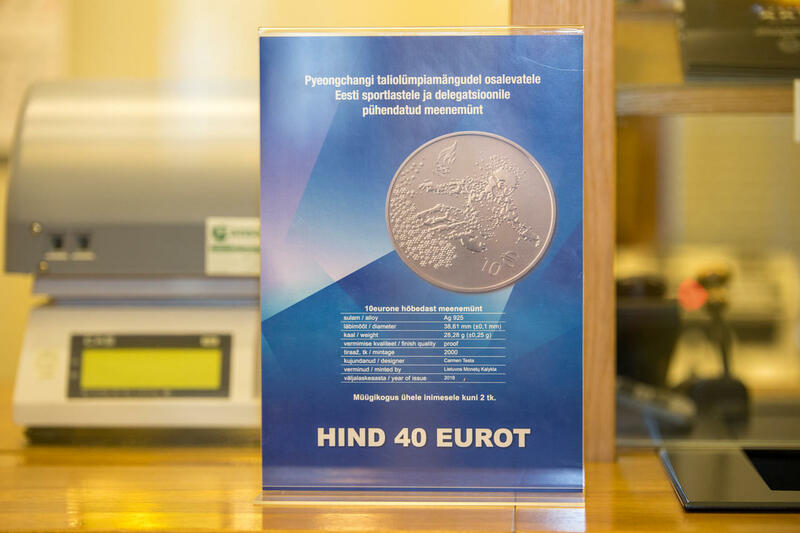 Photographs of the coin in print resolution are available on the web page of the Bank of Estonia.